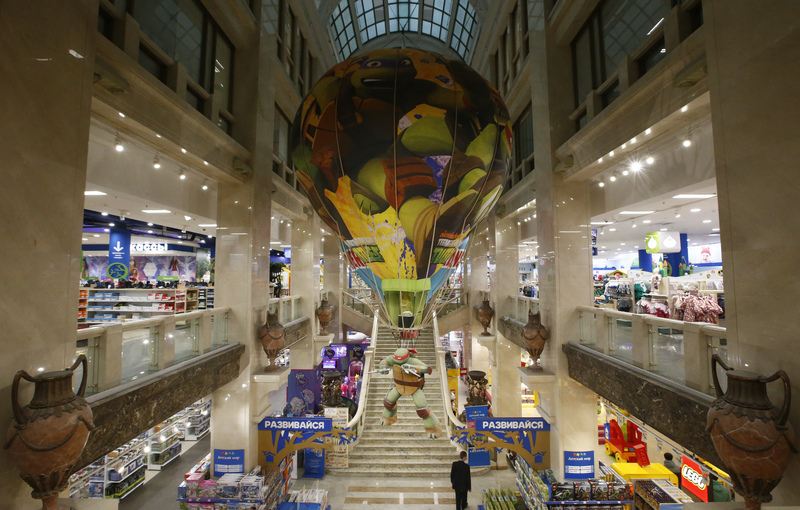 Strong first-half sales at children’s store Detsky Mir will help Sistema, which needs to sell its stake after a costly $1.5 billion settlement with Rosneft. A less politically risky owner might help the rapidly growing toy group’s low valuation. Yet that’s in no way guaranteed. An interior view shows a store of Russian children's goods retailer Detsky Mir in Moscow, Russia, January 16, 2017. Russian toy and children’s products retailer Detsky Mir said on Aug. 21 that first-half revenue increased by 14.3 percent to 48.1 billion roubles ($720 million) compared with a year earlier. Like-for-like sales in its Russian stores grew 5.6 percent. Russian conglomerate Sistema, Detsky Mir’s majority shareholder, is in talks to sell its 52 percent stake in the retailer, the Financial Times reported on Aug. 6. Sistema’s oligarch owner Vladimir Yevtushenkov said that the group would not retain a minority stake in the business if a buyer is found. Sistema agreed in December to pay state-run oil company Rosneft 100 billion roubles ($1.6 billion) to settle a long-running legal dispute over regional oil company Bashneft. Detsky Mir’s shares were up 2.1 percent on Aug. 21 at 0822 GMT.